MUMBAI: One of India’s most celebrated singers, Bappi Lahiri has released a new track, We Are One on the occasion of World Music Day. Sung by the singer himself, the song is a call for global peace and harmony. The song marks his international debut and the singer has left no stone unturned as he brings up a message of peace through the song, which released on YouTube, today. “It's a very special day, and I've written and performed this song, which is very close to my heart. I recorded the song in Los Angeles with international musicians," he told IANS. Bappi also shared that the younger generation of musicians needs to appreciate both global music and the traditional Indian style. Sung and composed by Bappi Lahiri, World Peace Love Harmony is produced by Zee Music Company. 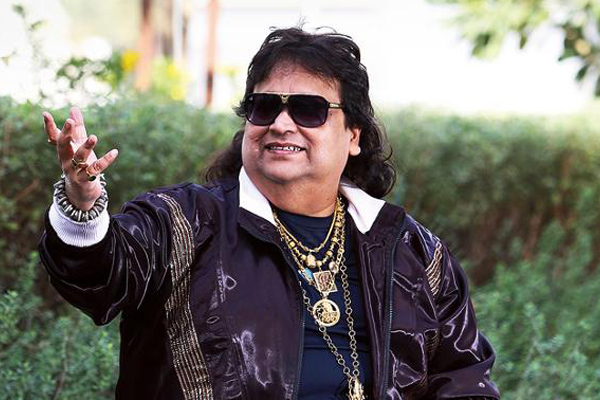 The lyrics of the song are penned by Bappi and Deepak Sneh. The dialogue voiceover is done by Kabir Bedi. Amit Tandon returns to first love with 'Checkmate'? MUMBAI: Every Indian Idol fan is surely aware of singer, actor and contestant of the first Season 1 of this popular reality show, Amit Tandon. MUMBAI: Amid the many singers/composers, who have debuted in the world of Indian music, one more name has joined the list. He is none other than Jatin Pandit’s son, Raahul Jatin, whose debut with the single, Aankhon Ke Ishaare was melodious. MUMBAI: The first song, Ghar More Pardesiya from the upcoming Bollywood film, Kalank, has grabbed eyeballs for, both, its melody and grand visual display.